Videos are the perfect way to learn any stuff these days. From visual classes to recipes or beauty regimes, there’s everything under the sun that you can learn via videos. This is especially useful for visual and auditory learners. Also, as Youtube is gaining popularity, screen recorders are gaining traction as a tool to create visual tutorials. Videos can be used to illustrate a certain process in steps via tutorials, demonstrate how to use a software or offer tips and tricks for the same, share guides on how to play a game, review products, and more. So, if you are planning to create educational videos, creating a game, or tutorials, recording certain screen activities can be useful. While there can be many uses of recording the screen activities, there is only element that stands out and that’s your choice of the precise screen recording software. Capture picture-in-picture to record video from screen to the webcam. Edit the video and then annotate it once it has been captured. Make videos in different types of file formats. Here’s a list of some of the best screen recording software in the market that we have created to help you pick up the one that’s best suitable for you. VSDC free screen recorder is a free screen recording software , which is completely free to use. First of all download the software from its official website. Now, install it and start it on your PC. Now, click on screen capture to start screen recording. Now, the setting panel will start initially. Note that once you click on start recording , the recording does not start. Just press F5 to start recording and Shift + F5 to stop recording. Note: – Initially just un-check show panel when you start recording from top left panel being shown, to avoid panel being shown in screen. The greatest thing about this tool is that its totally free. 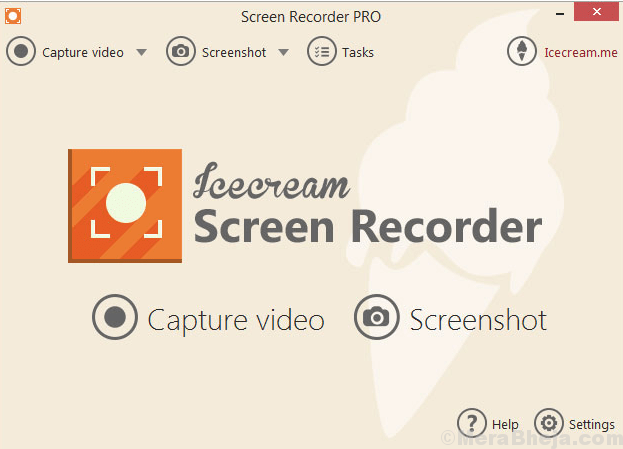 Icecream screen recorder lives up to its name and offers a really cool and neat interface. 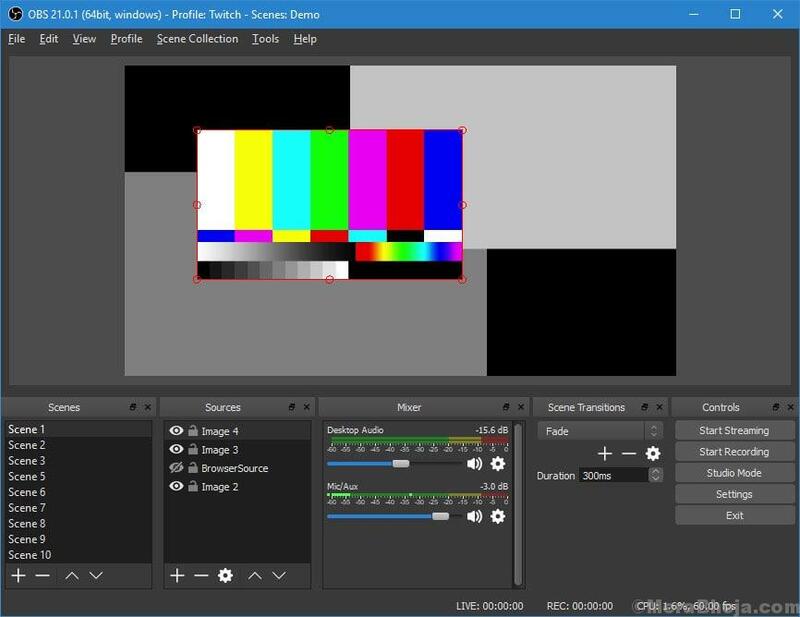 It’s vast range of tools offers easy control options to its users with aspect ratio of 4:3 or 16:9, audio bitrate, video resolution of 240p to 1080p, and more. Among its many advantages are capturing screenshots in wide range of resolutions and multiple video formats such as, AVI, MP4, WebM, and so on. While it allows you to convert your videos into GIFs, it also lets you upload then directly to YouTube from the application. Moreover, you can also save the recorded files in a local drive or simply upload them on Dropbox or the Google Drive. Bonus – You can even enhance your screenshots with different effects like arrows, texts, and numbers. It’s been one of the most popular screen recorder software till date and continues to hold its popularity. With a wide range of tools in its kitty that are neatly organized on its interface, makes it much easier to locate and use them. From animations to annotations, or transitions, it has it all. Latest update to Camtasia 9 that comes with a 64-bit processor and records upto 4k videos. From green screen processing to pre-built assets or text animations it’s loaded with advanced effects. Those looking for a free option, OBS Studio is the best bet. It comes loaded with features like high-quality screen recording, streaming across different platforms, and top-level editing. Best of all, it’s loaded with a wide range of video editing tools that makes it one of the most sought-after screen recording software for the gamers and professionals looking for a pro tool for video editing. Talking of its advantages, irrespective of the fact that it’s absolutely free, it does not lay any restriction on the video length. While you can choose from HD, FullHD, and more for resolutions, there are different video formats like mp4, flv, mkv, etc. as well that can help you to stream your recordings on social media platforms like Facebook Live, Twitter, DailyMotion, Twitch and more. What’s more? You can even stream games in full-screen mode using this free software and record videos at frame rates of upto 60FPS. It’s a free scree recording software and is equally popular as its adversaries. It offers a smooth experience to its users helping them create screencasts, edit recorded videos, and then upload the to YouTube super easily. Best of all, it comes with no watermarks or time restrictions. Apart from offering all features for free, it also boasts a wide range of audio editing options in the free software. Although Movavi Screen Capture Studio is not a widely known recording software, it has some impressive features to offer its user. For instance, it features all the root screen recording, video editing tools, and much more. It’s better known for its set of best video editing utilities that are not so common among the same genre of other software. No time limit on the video length, unique dedicated tools to enhance the recordings like artistic blur, stickers, mosaic, and noise reduction to name a few. It also allows you to add texts in different styles, stabilize recordings, zoom or pan, are among some of the other features that makes it a worth a try. TinyTake is just like MS-Paint for drawing. It offers similar capabilities like MS-Paint offering you fundamental image editing options like cropping the image or adding a dash of color to it. The software also allows you to film short videos and capture screenshots with equal ease. The USP of this software is its simple user interface and does away with complications of commands and hidden utilities that otherwise create complication. What we like about this application is the speed with which it records screen activities and captures screenshots. Moreover, you can also save the videos in a local drive on the cloud storage (2GB) that’s offered with the free version. Previously known as the Smartpixel, this software is best known for its professional video recording. Whether you want to record the screen, use your webcam or for gameplay, this is a pretty good option. What we like about this software is its ability record each pixel of the screen while recording the screen, lets your webcam capture all life moments, offer support for all 3D games, and help you record 4k videos at 60FPS with super HD quality. The multi-track video editing, amazing video effects, and uploading on YouTube in just one-click are some of the other great features of this software. Price: Free version available; Upgrade starts from $15. It’s a robust application that can record all parts of your desktop screen in excellent video quality. It comes with a free edition and while there are many features absent in the free version that are otherwise offered by its adversaries, it still makes for an ideal minimalistic screen recording software for those interested in creating high-definition lengthy screencasts. What’s good about Atomi ActivePresenter is that it comes with no recording limits for even free users and no watermark. You can even use its free utilities to beautify the screenshots with different styles, shadows and color effects. Moreover, you can also add transition effects such as, annotation to your videos or photo slides. Post recording editing activities like cropping videos, changing volume levels, video overlays, etc. and exporting recordings into various formats like MKV, MP4, WMV< FLV and more, are some of the other features to look out for. ChrisPC Screen Recorder is available in a free version that boasts superior quality captures and is extremely easy to use. The free edition allows you to not just record your screen and the sound, it also lets you separate them and just record one or the other. Bonus – you can also capture screenshots. Moreover, you can also choose from the many different options available for size, frame rate, and different other quality related choices. DVD VideoSoft’s Free Screen Video Recorder is just the right solution for all those who are looking for a screen recording software free of any hassles or added frills, that’s easy to operate, and delivers as per promise. It opens up with a mini window that features just 6 elementary commands that helps you capture screenshots and record videos. Although the software offers a basic approach, it’s pretty efficient in offering fast use and generating results. It’s 100% free of ads, malware and spyware that makes it a good choice for developers. Moreover, you can capture screenshots in different formats like JPEG, PNG, etc., record video without time restrictions, and in varied resolution ranging from 240p to 1080p. Price: Available in free version; upgrade starts from $19 a year. If you are looking for a software that can convert your recordings into HD Videos from desktop screen captures, then Screenpresso is your answer. It’s known for providing one of the best screen recording services in the premium category. While free users do not have much to their advantage with this software, it still helps you to capture the complete screen or certain portions pretty effectively. 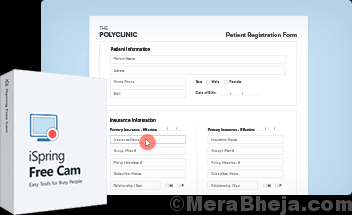 Moreover, its management features are what attracts us more that helps you to manage your captures smoothly. What we especially like about this application is that it lets you record audio and webcam along with the screen. You can even use the captures for commercial purposes even in the free version, record the screen in different formats including MP4, WMV, OGG, and WebM, allows quicks access to last screenshots and recordings, offers sorting, editing, and labelling, manages libraries and workspace, and sharing on email, Evernote, Google, Facebook, Twitter, and so on. Showmore by ApwerSoft is a powerful yet lightweight screen recorder and editor that performs fairly good in terms of quality recording. This free software records at a pretty good quality and at higher frame rates, although there is still a scope of improvement for the editor. Among it’s advantages is the fact that it’s free and allows you to record with no watermarks. You can also use real-tie stickers and add test to your video for beautification. For those looking for a hassle-free recorder, BandiCam is a perfect solution for you. 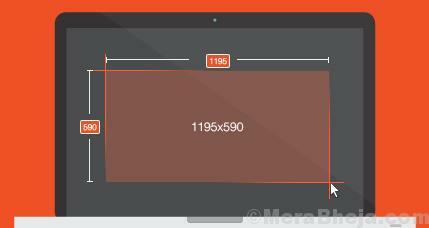 It’s not just easy to use, but also lets you capture a certain portion of the screen or the entire screen. You can even record streaming videos, flash games, etc. easily. Gaming mode, screen recording mode, and device recording mode are some of the modes offered by the software for effortless recording. Live drawing during recording, saving the recordings in different formats like MP4 or AVI, animation or mouse click effects, ability to add watermarks and overlay of webcam, real-time voice recording, or use of hardware acceleration for improvement of the recording process are among its many advantages. Apowersoft is a software suite that comes with both recorder and the editor. It meets all the requirements that a good screen recording software should. The best part is, it’s completely free and offers an easy to use interface. Screen recording software are a must-have these days for all the young entrepreneur looking to do something innovative. These applications not just add to your fun gaming sessions, but also offer an opportunity to start a new venture sitting at home. So, find your option from the above list and get going with your recording sessions. While it’s a basic screen recording application, it is indeed very useful with its mix of basic screen recording utilities with an easy to use user interface that’s just perfect for the beginners. One of it biggest advantages is that it’s completely free with no paid version, that will automatically save you a lot of bucks. It allows you to upload your videos of reaction directly to YouTube with stickers, annotations, and symbols for beautification. Explore Ezvid’s library boasting a vast collection of background music. Bonus – the voice synthesizer option for added enhancement.